Reception and luggage guy super friendly. The reservation Eason Andreas was very polite and accommodating. The hotel was clean and pleasent. The garden and beach were beautiful. The Hotel hast a very nice, big chilling area on the grass with many sun beds. Also kids are not allowed there, what makes it very quite. Lovely location apart from noisy construction neighbours ! Overlooking the sea, walk to the beach, many pools, gym, gardens in and out, good parking. Room marvellous, robe and slippers, good water supply, spacious. Perfect location. Great facilities. Everything was great! Maybe the view is the only good thing they have going for them. Bed very comfortable, concierge (milos) bery helpful, some of the staff at breakfast also quite friendly and polite, receptionists very good even after checking out when we forgot something very helpful, helped to find. Room was quite large. The hotel staff were helpful but the restaurant staff were ...eh! The Manager was friendly and accommodating about our complaint but we knew the problem was not solvable. The food at this establishement is exceptional. 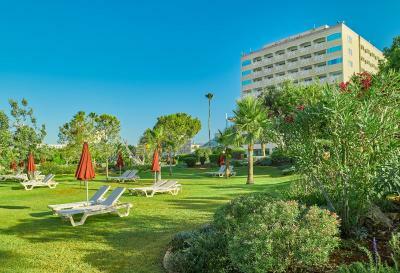 One of our top picks in Limassol.Situated on one of the largest blue flag beaches in Limassol, this resort features an elegantly designed pool area with 2 outdoor pools, and air-conditioned guestrooms with balconies and views of the Mediterranean Sea. Rooms at St Raphael Resort include parquet floors and modern furnishings. They come equipped with a minibar and LCD TV with satellite channels. Some rooms include a private veranda with sun loungers. Each morning the hotel serves a buffet breakfast with fresh fruit on the Octagon Restaurant. 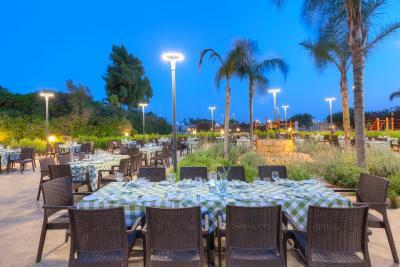 Al fresco evening dining can be enjoyed at the Alakati Restaurant which serves fine Cypriot cuisine. 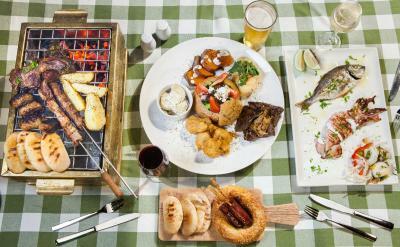 The resort also boasts a nautically themed bar with a wooden deck that overlooks the sea. After a morning of splashing in the pool or the sea, guests can pamper themselves with a wide range of spa treatments at the Serenity Spa. St Raphael has 2 tennis courts and a playground for children. 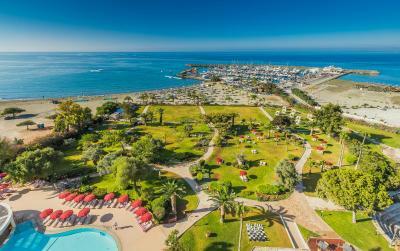 St Raphael Resort is only 6.8 miles from the centre of Limassol and is 28.5 miles from Larnaca Airport. It offers 24-hour front desk service and free private on-site parking. Wi-Fi is complimentary in public areas of the property. 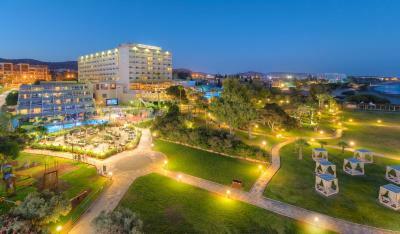 St Raphael Resort has been welcoming Booking.com guests since 24 Nov 2009. When would you like to stay at St Raphael Resort? Bright and airy, this room enjoys side Mediterranean Sea views, this modernly decorated room offers a marble bathroom with toiletries. Offering inland views, this room is located in the main building. 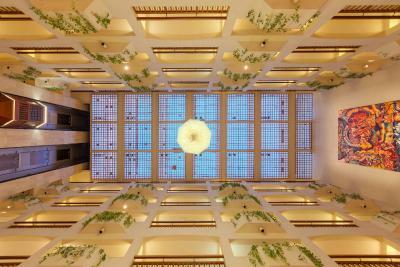 Ideal for families, it is equipped with a minibar, LCD satellite TV and marble bathroom with free toiletries. Please note that the third child is accommodated in a roll-away bed. 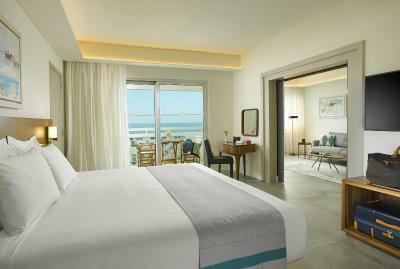 This spacious suite includes a seating area and a balcony with panoramic views of the marina. It consists of a separate bedroom and a dining and seating area. Interconnecting rooms are available for this room type, subject to request and availability. 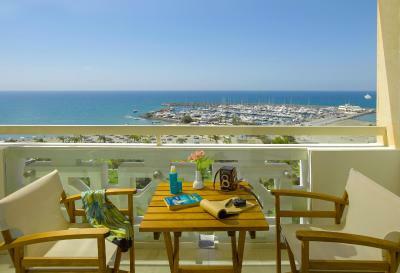 Bright and airy room enjoys side Mediterranean Sea views from its balcony. Modernly decorated, it features a marble bathroom with free toiletries. this bright and modernly decorated room offers a marble bathroom with free toiletries. This double room features a cable TV, minibar and seating area. 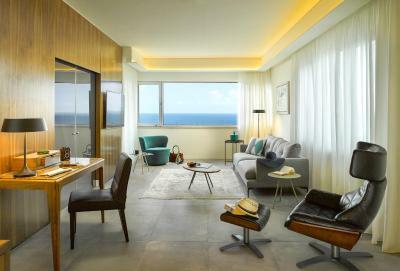 These modern and spacious suites provide every modern comfort and luxury. 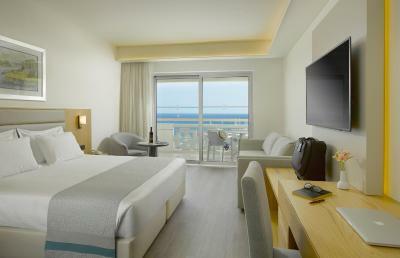 A large double bed looks over the side glorious views of the hotel which incorporates the mountainous backdrop against Limassol's beautiful bay. A luxurious free standing signature bathtub is incorporated into the room along with a large rain shower cubicle, separate WC, two washbasins and contemporary lighting features. The lounge has its own WC and a second TV which can be viewed from either the dining area or the comfortable designer sofa, while overlooking the blue azure of the Mediterranean. 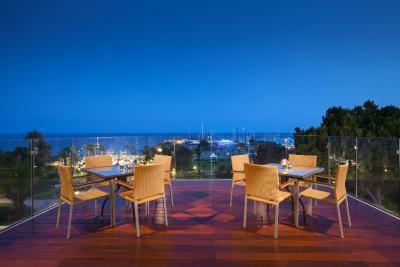 Enjoy spectacular panoramic full frontal views of the marina and the beautiful landscaped gardens. The Imperial Marina View rooms are finished to high standards and are equipped with features ensuring a comfortable and luxury stay. They are equipped with a large double bed, as well as modern amenities including electric blinds, minibar, free Wi-Fi Internet access, satellite television, branded amenities and in-room safe. 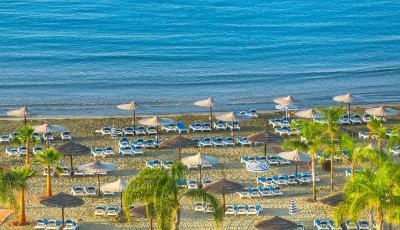 St Raphael Resort is a five star deluxe ultra all inclusive hotel and marina, situated on a large Blue Flag beach on the outskirts of Limassol. 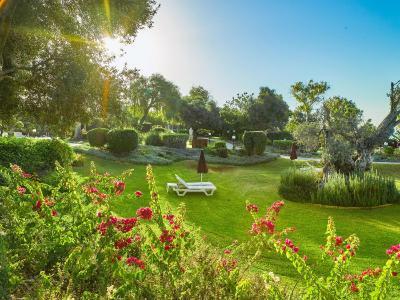 Offering our exceptional value for money, unique to Cyprus, ultra all inclusive experience, as well as other terms of stay, made to suit each individual guest requirement whether a leisure holiday, wedding, conference, spa or an upcoming group event. House rules St Raphael Resort takes special requests - add in the next step! St Raphael Resort accepts these cards and reserves the right to temporarily hold an amount prior to arrival. Kindly note the hotel will be sending a secure payment link for immediate payment of non-refundable bookings. 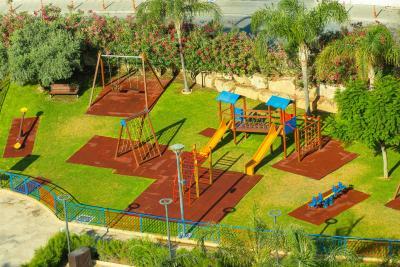 Guests are kindly requested to pay special attention to children & extra bed policies and meal plan policies. Please note that the Christmas Eve Gala Dinner and the New Year's Eve Gala Dinners are included in the half-board and all-inclusive rates. Guests are kindly requested to let the property know the exact number of guests upon reservation. All children-related policies refer to children up to 12 years old. 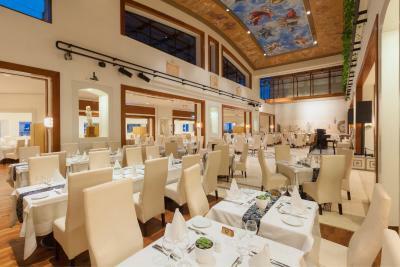 Kindly note that a dress code applies to the Palladium Restaurant. Smart/ casual, shorts and t-shirts without sleeves are not allowed. 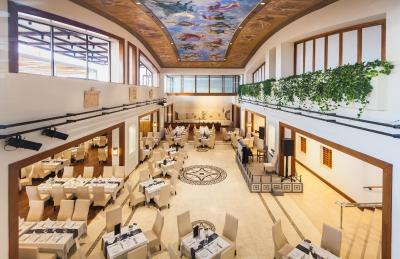 Please note that Alakati Restaurant, Splash Restaurant and Seashells Grab N Go are operating seasonally from mid April to October (subject to weather conditions). Please note that the minimum age of guests allowed in the gym is 16 years old.